There are actually quite a number of people asking me this question about how do I go about creating my own personal website or even a corporate website for a small online stall if I do not have the money to actually pay someone to do it or without the technically knowledge to do it on my own. After replying so many people through emails and Facebook private message, I have decided to create this blog post on how to create a website through wordpress. If you are those who have big pockets to go about getting someone to do it for you, you might want to go ahead and do it. However, please make sure that you find someone credible and good in this area to assist you so that when it comes to maintaining and updating your website in the long run, you will not have so much problems. Some programmers and designers do not like to follow the conventional way of writing comments on how to edit and update their work and this actually cause a problem for someone else who take over to maintain and update your website. Personally, after learning how to use wordpress to create my own websites, I feel it is easier and cost savings to do it on my own as I know what are the standard things that is required for the websites that I want to create. A web hosting service that supports MySQL databases and PHP. In my opinion, I prefer to use bluehost as my hosting service as it is very reliable and there is a 24 hours phone, chat and email support to assist you if you face any problems with your hosting service. If you first sign up bluehost, they will allow you to select a free domain name and they actually gives you an unlimited domain hosting space where you can add more domains into your existing hosting. 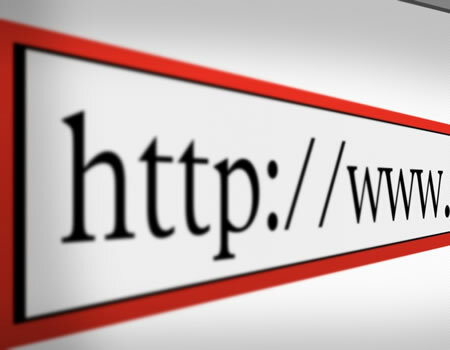 If you do not know what is domain name, you might want to google it to find out more but here is my simple explanation with this example: www.DomainName.com which means the website name. So, after signing up with bluehost, step 1 and 2 is achieved and what you need to do next is to install a wordpress (CMS) into your web hosting. If you do not know how to do it, you can ask the bluehost helpdesk to assist you or login your bluehost account through bluehost.com by clicking on the “Control Panel Login” button at the top. After signing up with bluehost, they will actually email you the login details for your account. Once you login, you can actually scroll down all the way to find the wordpress button in the dashboard of the cpanel after you login your bluehost account. After you have installed the WordPress, you are left with logging into your wordpress site to change the design theme and adding the necessary plugins that you need for your website. How do you go about logging into your wordpress site? 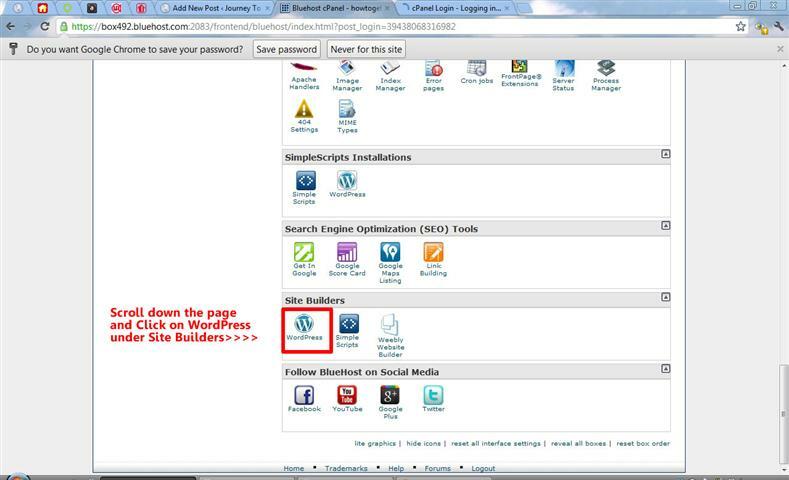 What you need to do here is to type in your domain name into the web browser plus adding /wp-admin behind the URL. 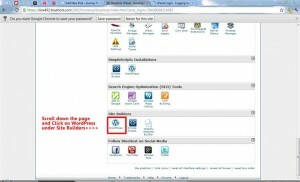 Example is http://www.DomainName.com/wp-admin and login with the password is being emailed to you through the system. After that you can click on Appearance on the left of the wordpress, follow by “Themes” and go find the wordpress theme that you like. For those budget guys like me, you might want to choose those free themes to use instead of spending money on those paid themes. There is actually a lot of great free wordpress themes on the internet for you to use so just google “Free wordpress themes” in the search engine and slowly choose from there. Once you found the one you like, install and activate it in your wordpress. What is the last step about plugins? Plugins are just like iPhone apps where they allows you to enhance your website through the plugins you like. Some people will like to track their website visitors, they can actually install “All in One SEO Pack” and setup just like setting up a theme. You might want to search in google what are the “top free wordpress plugins” available in the market and install those accordingly to what is required from your website. You can setup your own email name instead of using the traditional gmail account to reply your customers. A generic example is askingforhelp@javierchua.com where you have your domain name as an email. You can actually do it through your bluehost account. If you don’t know how to do it, ask the bluehost support and they will be willing to help you out. I managed to do it for all my websites and it provides me a more credible look when I reply my email to my own customers as compared to askingforhelp@gmail.com. Go online and see what are the pages a website has and follow the standard style. Some examples are like home, about us, contact us, disclaimer, blog and more. If you want to create more websites, you can sign up just the domain through your bluehost account and add the new domain to your existing hosting. You do not need to buy anymore hosting as your existing one allows you to host unlimited domains on it. However, if you want cheaper domain names, you might want to buy from namecheap.com but you must know how to point the domain name to your existing hosting. 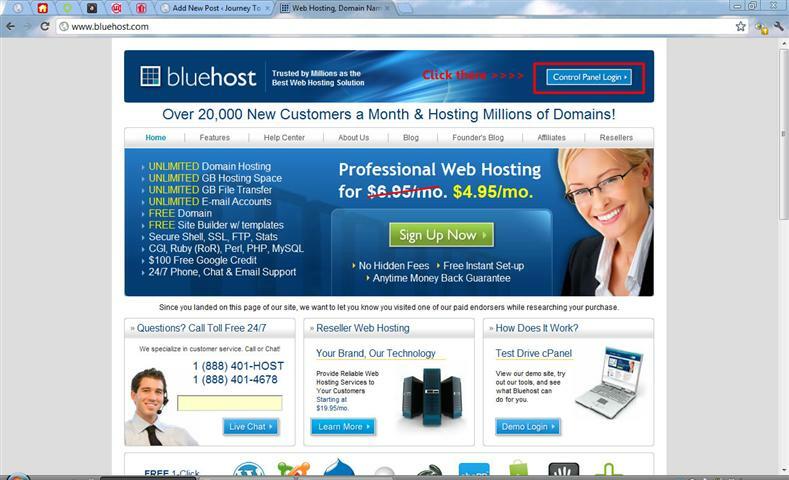 You can get help from the bluehost support on how to do that and they will definitely be willing to help you out. If you feel that it is too complicated and don’t want to be cheap like me, you can just buy the additional domains directly from Bluehost. Lastly, I hope that this post is useful to anyone who wants to create a website on their own. If you face any problems when setting up your first website, don’t be afraid to ask. You can ask “Google” or “Bluehost Support” or through some online forum and you definitely find your desired answer easily as “Ask and You Shall Receive!” All the best to anyone who is venturing out to create their own website and feel free to drop me a comment on what are the tutorials you need. I will try my best to create a blog post and share it with everyone online. Cheers.